Update: Here are some preliminary results, based on the first 120 responses. The community seems to have gotten slightly younger over the last year, and in this initial sample we have twin peaks in the mid-twenties and early thirties. 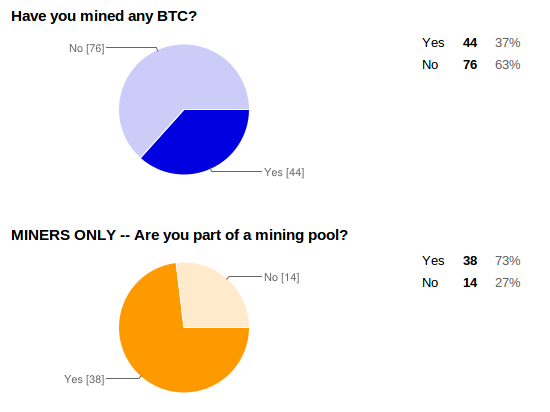 The proportion of people who have mined BTC has dropped from last year, though the breakdown between pool and solo miners has remained steady. 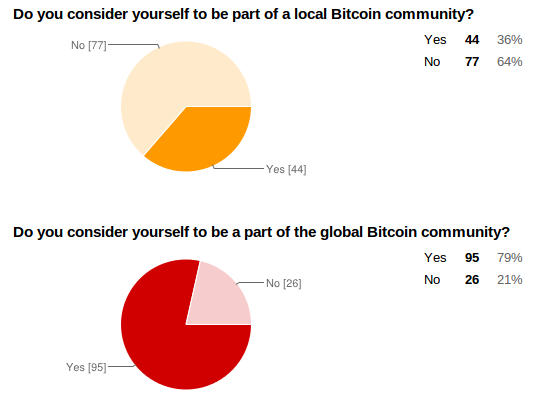 Bitcoiners are more likely to feel part of a global community than a local community, and less than a quarter have actually been to a Bitcoin event (though most would go if there was one nearby that they could go to). Of course for many “Bitcoin community” is probably too narrow a term now, one of the biggest transformation in the last year has been the growth of altcoins. 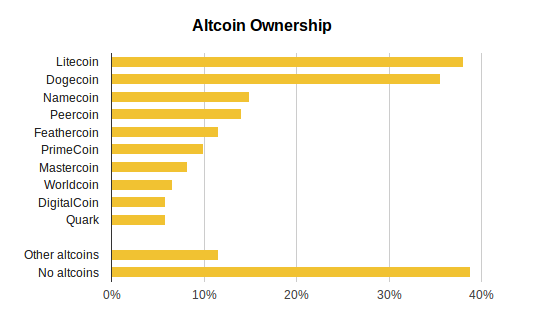 Over 60% of respondents own some kind of altcoin, usually Litecoin and/or Dogecoin. As expected it looks like the gender imbalance has improved every-so-slightly since last year, but it’s too early to say for sure. That was just a flavour of some of the questions, and those results are very much preliminary. Last year’s survey got over 1,000 responses, and the results helped journalists, academics, businesses, and startups get a far more accurate picture of the Bitcoin community. Hopefully we can do the same again this year, so please take a few moments to share your experience of Bitcoin, and then spread the word about the survey. Like last year, all responses will be publicly available afterwards.